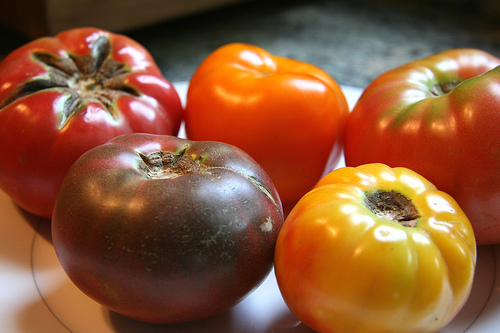 New Utah Gardener: When Can I Plant Tomatoes In Utah? When Can I Plant Tomatoes In Utah? Tomatoes can be planted in mid to late May in Utah, after there is no more danger of frost. Find out the average last frost date for your area and watch the weather forecast. If you plant tomatoes and other tender vegetables and you find out it might freeze, you can cover your garden with plastic, frost cloth or sheets over night to protect the plants. Make sure you remove these coverings first thing in the morning. It's also true that you can plant tomatoes anytime up until about the first of July in Utah. The plants will grow fast during the hot part of summer and provide fresh tomatoes in the fall! tomatoes grow well in Utah!